Tommy Boyle is a quite remarkable athletics coach with a rather different background to most international coaches. It is a much richer background in the range of experiences that have contributed to his outlook on life in general and sport in particular: it was certainly not the straightforward progression of many of his peers. For that reason his early background has to be looked at perhaps more closely than usual. Family history of running is limited to his grandfather running for Motherwell YMCA as a boy, but there was no athletic role model in his immediate family. 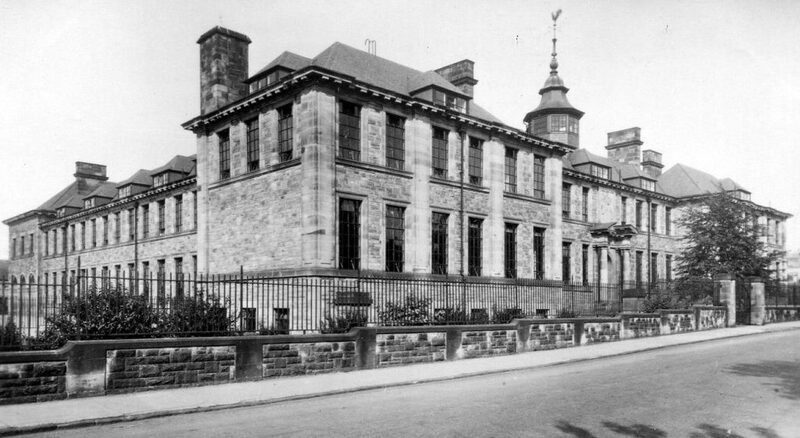 Tommy’s family home was on the edge of village, of Newarthill in Lanarkshire. Living in the country he, like all the other youngsters around, did loads of exercise – bird watching, ferreting rabbits , and so on – and spent most of his time in the open air active in one way or another. It was all fun to him! Newarthill is about three miles from Motherwell, and it’s a bit ironic that Wikipedia comments that Newarthill does not have any leisure facility of note. Tommy as the eldest son in a family of eleven. ran and/or cycled around 10 miles a day doing a paper round to bring in some added money. This was not unique to him, as he points out, many good endurance athletes in that era did paper or milk rounds. His early athletics career involved winning some money each year at local gala day sports – a big event in the community! There is often some key figure or figures in the development of a sportsman and Tommy encountered several people who helped him on his way. Encouraged by his Boys Brigade Captain, Jim Sherwood, to start a Cross Country team, Tommy says of the resulting team, “we developed a great team spirit and they all worked very hard, we did a session on Sunday after bible class and morning service , the caretaker allowed us into the church hall free and I introduced them to a five mile run, we ran 2.5 miles out into country on ash path and ran back It was a handicapped run and the winner got into bath tub first ,it was tough and I learned the physical and mental advantages of handicapping.” It would be interesting to know why Jim Sherwood encouraged Tommy in particular to form the team and not any of the other boys. How did his career develop from there? Well, he won the series of three races as an individual, and the team won the battalion Cross Country Trophy. 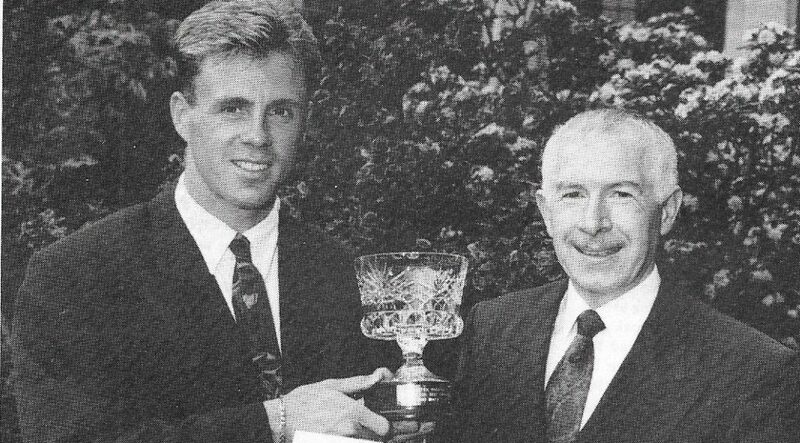 The winner of the races before Tommy was John Graham who went on to great things as a marathon runner. As a result he was invited to go along to Motherwell YMCA by Bobby Craigen, which was full of very good athletes many of whom ran for Scotland: in included runners like the Brown brothers, Bert McKay, Ian McCafferty and a many famous names. That first training night was very intimidating so he did not go back. However, he was also invited to join Bellshill YMCA Harriers, the club with which he was always associated, by Johnny Waddell who was the captain in Bellshill Battalion and secretary of the Bellshill YMCA Harriers,which he had resurrected after many years . Tommy frequently talks of learning Life Lessons and says “One of my great Life Lessons was after winning the school mile, a handicap where girls went off first, then at intervals each year group of boys followed. I was in second year and to the surprise of everyone this wee guy from nowhere won the big competition at the school sports. Next morning I was asked to go along to the head’s office. I thought for a big well done, however Jimmy Scobbie said “Well-done Mr Boyle. However, you did not wear the school uniform.” I was taught yet another big lesson which I remembered for the rest of my life . Tommy went on to serve his apprenticeship at Colville’s training centre at Mossend which he regards as a wonderful foundation for the rest of his life in manufacturing. 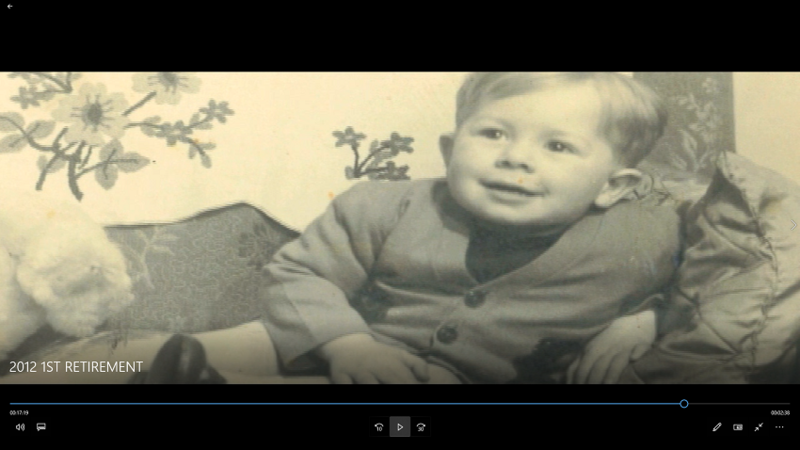 Little did Tommy know that these years were to inform and shape his career to such a degree that he would eventually become Manufacturing Director in Packard Bell, employing over 500 staff producing 5000 pcs a day. Tommy says that it was these wise inspirational training instructors who taught a bunch of rebellious teenagers loads of life lessons as well as the technical information. We began to learn about business processes, the seeds of which grew in my head to shape my coaching and business careers. “I really enjoyed those years at Bellshill YMCA and was constantly encouraged by the then president Jimmy Love yet another visionary who was also the world YMCA president, we grew the harriers club and had a great deal of success in the younger age groups. When he was 18 he had to work shifts, training became even more difficult and he only did the circuit sessions and road runs to keep fit. Away from athletics for a moment, reaching the final year of his apprenticeship he was advised by one of the great tradesmen that heavy engineering was dying and it would be best to change my career pathway to Electronics. He advised that the best way was to join the navy, earn some money see the world and they would teach him electrical side of engineering. So he left athletics, joined Shell and went out to the gulf on his first ship. It was a massive experience. Tommy lost a stone in weight, saw bit of the world and returned at age 21. He joined Honeywell Computers starting on the shop floor as an inspector – the first stepping stone on a journey to the top in a very successful career in computing. 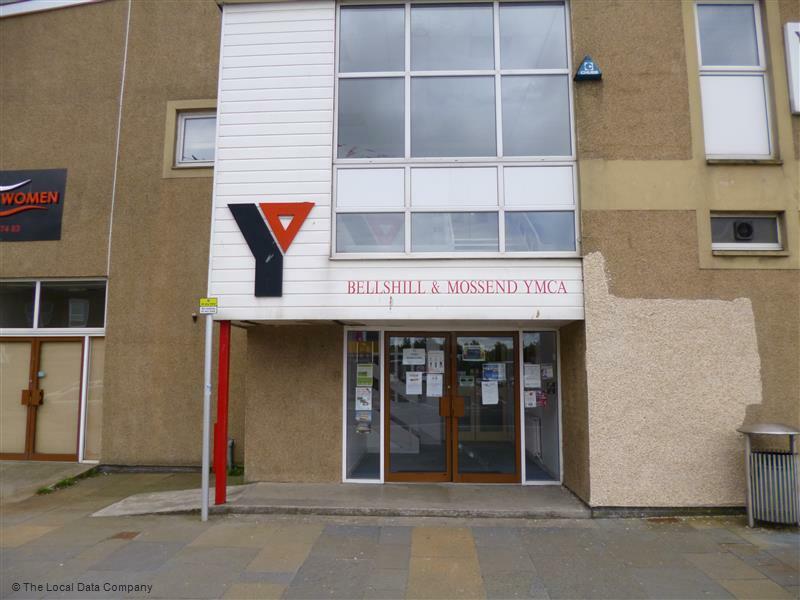 It was, then, no coincidence that Bellshill YMCA suddenly appeared on cross-country fixture lists in the 1960’s – no doubt due to the efforts of the gentlemen that Tommy has mentioned above. 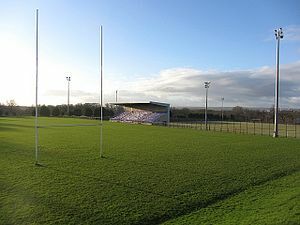 The SCCU District Relays were held there for four successive years between 1968 and 1971 inclusive, although the actual championships were never held at Bellshill . District relays and championships were also held at Cleland, as were the inter-counties championships. The venue was a new one to most runners but they soon discovered that the mud was real mud, and that there were real fences on what were politely referred to as traditional trails. Tommy is quite clear about the debt he owes to all the people who helped develop his character and shape his attitudes: Jim Sherwood, Bob Henshaw, James Scobbie, Jimmy Hogg, John Waddell, Jimmy Love – his grandfather Alex a font of wisdom and his greatest inspiration in life, his Dad. But they probably all spotted something in as well: why did Jim Sherwood pick Tommy to organise the cross-country squad? Why did Jimmy Love home in on Tommy to get into coaching in the first place? Did they see leadership potential? Did they see organisational ability? Regardless, he was now on the coaching ladder while holding down a day job.